Hands-free, cord-free, stress-free contraction monitoring. There’s feeling, and then there’s knowing. 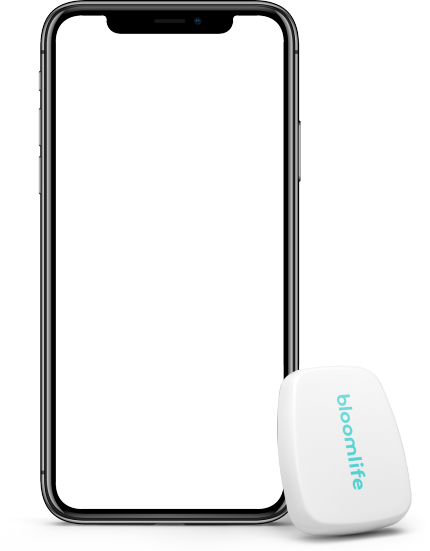 With Bloomlife, you have all the data you need at your fingertips so you can see exactly what you’re feeling (or not feeling yet) in real time. It’s like a secret decoder ring for your pregnant body. Start right away or reserve for later in your pregnancy. Weekly rental fees start when Bloomlife reaches your doorstep and end when you pop it back in the mail. Everything you need to get started in one little box. Need more patches? Just ask and we’ll send you another five! 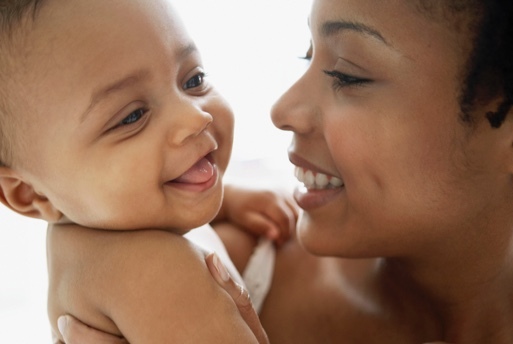 Most moms get into a routine of wearing Bloomlife each evening before bed. The sensor is so comfortable, you might not even know its there. Bloomlife gives you a simple, beautiful way to learn what’s natural for you and discover your body’s rhythms. 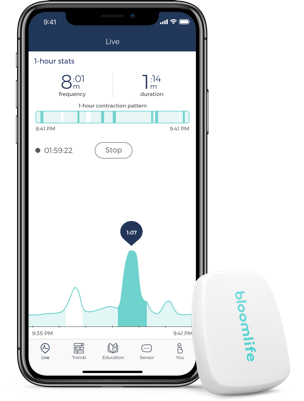 Bloomlife automatically tracks and records frequency, duration and patterns of your contractions. Watch contractions in real-time or see how patterns change between sessions as your body prepares for the big day. Once you’re done with Bloomlife (congratulations! ), pop everything back in the box and ship it back to us. We’ll even refund up to a week from baby’s birthday. Wait, was that a contraction? How big? How long? How many? 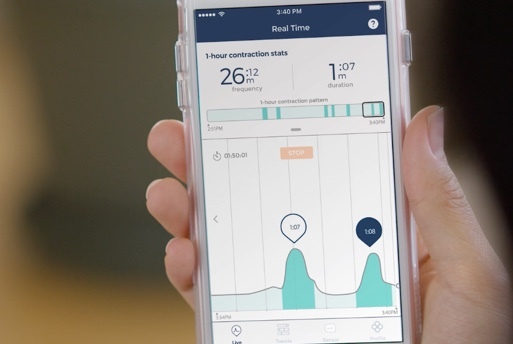 Bloomlife is the key to seeing your contractions in real-time, from the comfort of home. What’s normal for you? Bloomlife helps you discover your body’s natural rhythms so you can learn what’s normal for you and better understand when your pattern starts to change. Give your partner and care team a window into what you're feeling. You’re all in this together. With Bloomlife, it’s simple to share your instincts and communicate with those on your team. Bloomlife has been thoroughly tested for accuracy and safety. It’s 100% passive and safe for continuous use. 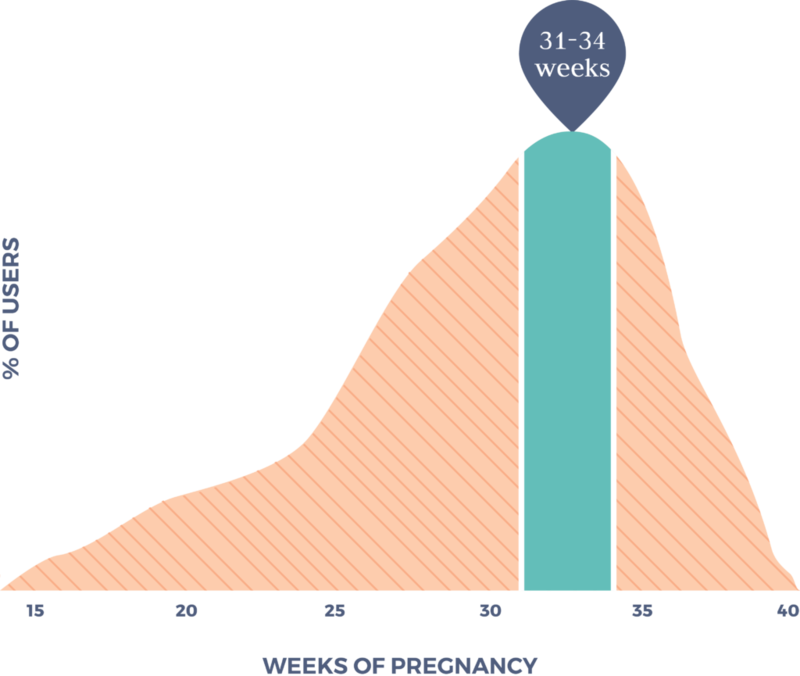 Most moms begin using Bloomlife between weeks 31-34 of their pregnancy. But there’s no wrong time to get started! When should I track contractions? 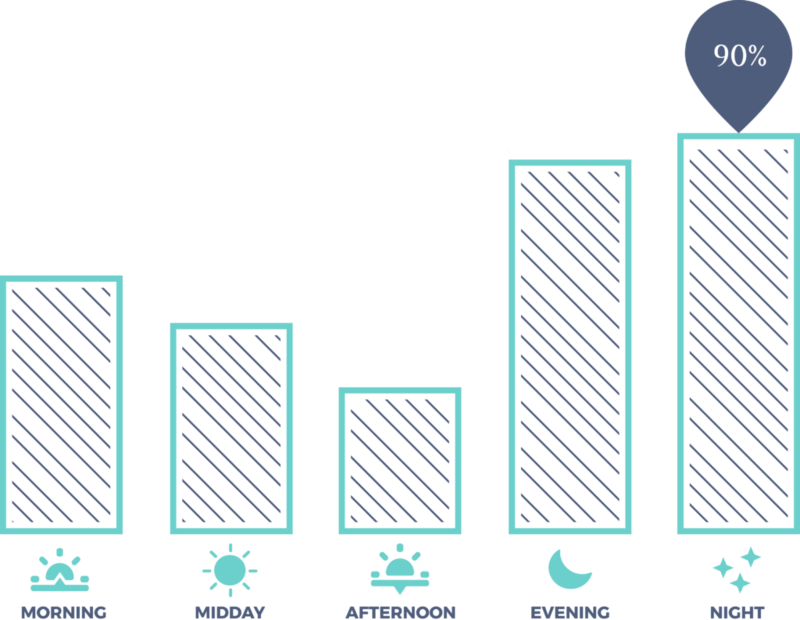 Moms routinely use Bloomlife in the evening, while comfortably resting, or overnight, while they’re sleeping. Many also wear it whenever they need to check in with their body. 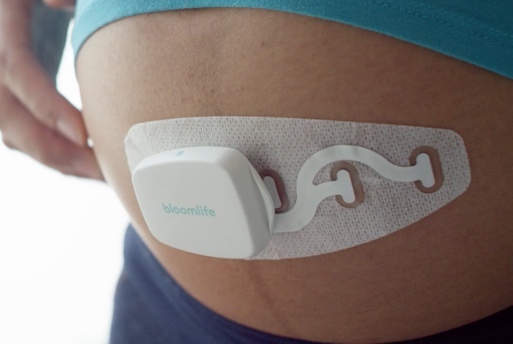 With Bloomlife, you won’t have to see ME to find out if you are or are not having contractions. I’m pricey. The hospital is pricey. With Bloomlife you could save time and money by not having to go in just to have me tell you what you’re feeling is NOT a contraction. I always feel bad when that’s the case anyway. I know that moms need to pay attention to timing their contractions. They need to know what’s going on, communicate with their providers, make decisions, etc. 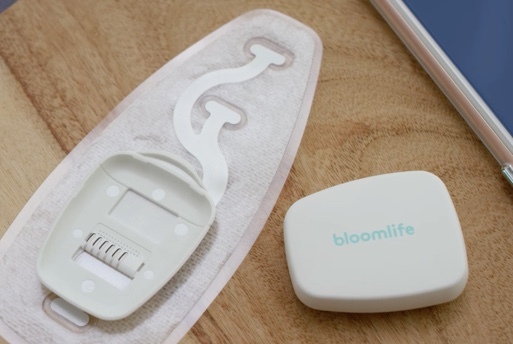 With Bloomlife, you can put the sensor on and let it do the work for you. Order your Bloomlife now, receive whenever you need it.